We serve the Las Vegas area. If you want to find out if you can enjoy our services, click here to find out more. 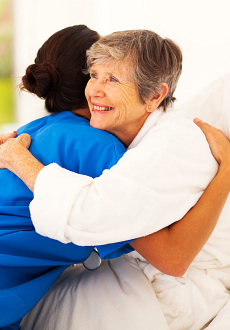 Our care givers are all compassionate and talented professionals that have a passion for your wellbeing! If you want to find out more about the insurance we accept, click here to find out more. All of our services are designed to help you live life to the fullest! Haven Personal Care Services LLC provides you the support you need in the comfort of your own home by promoting healthy and relaxing lifestyles for all of our clients. 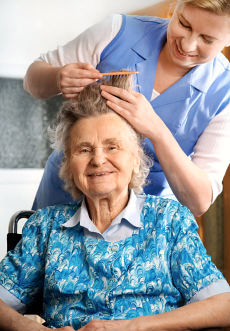 We would like thank you for considering Haven Personal Care Services LLC for your personal care services. 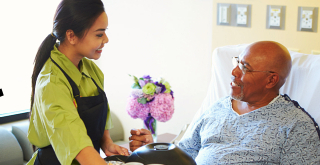 Whether you were hospitalized or need of assistance with daily living due to aging or disability; our team of caregivers will be happy to visit you at home and provide the support you need. We will work together towards achieving a healthy and worthwhile lifestyle in the comfort of your home. At Haven Personal Care Services LLC, we strive to promote a safe, healthy, and relaxing lifestyle for our clients. We take away the stress of household chores, running errands, and the uneasiness of being alone. Life can be meaningful when its spent with people you trust and cares for you. We hope that you’ll find satisfaction with our services. You'll Love the Way that We Care for You. Our services are all tailor made for you! 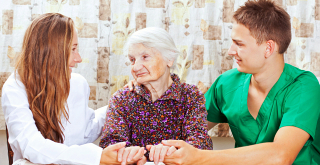 We will make sure that you can get the support you will need in order to live a full and happy life. Our staff is caring and skilled professionals that will provide you with the help you need on a daily basis. We believe that old age can still be fun! We are here to help you find your independence once again and live a life that is meaningful. Old age is not the end, but it is just the beginning! If you are happy with our services or if there are parts of our services that we could improve on please let us know, so we can enhance our services for you and all of our clients.